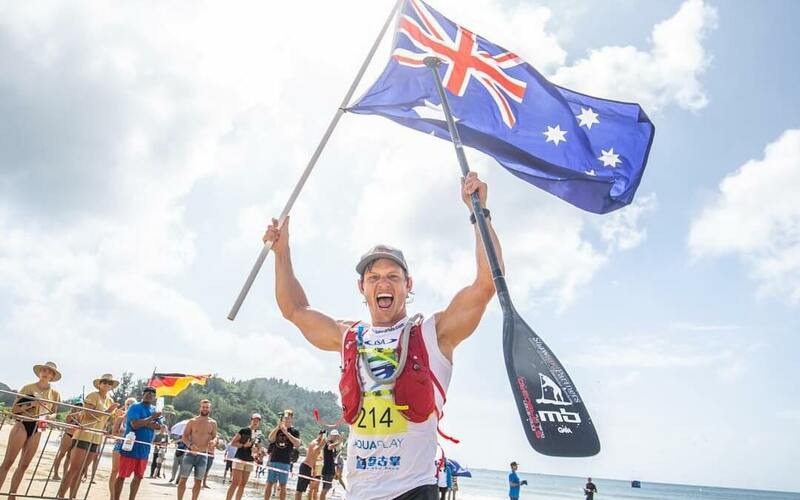 The Aussie powerhouse, Micheal Booth, has done it again, and in true Boothy form ~ paddling out hard and leading the race from start to finish. Teammate Connor Baxter fought valiantly to stay with him but it wasn’t Connor’s day after long few days of competition fatigue seemed to take its toll. It was 2017 ISA Long Distance Champion and Starboard teammate Bruno Hasulyo from Hungary who managed to find an extra gear in the second half of the race to claw back from 6th position to finish in silver. Brother, Daniel Hasulyo, also had a great race and saw him finish in Copper position, making it a double podium for the SUPBroz and early more valuable points for Team Hungary.